Even mundane morning routines such as buttering toast for breakfast need a revamp every now and then. 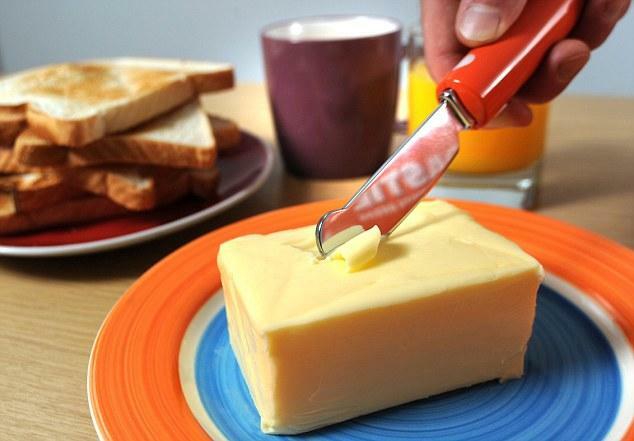 Behold: Warburtons, one of Great Britain’s many bakeries, has invented a heated butter knife that will slice through any cold stick of butter without breaking it apart. It’s a creation that would make Paula Deen punch herself for not thinking of it first. Coining it as the world’s first heated butter knife, the Toastie Knife blade warms up to 41.8 degrees Celsius, or 107.2 Fahrenheit, giving it the optimal temperature to cut through the butter without immediately melting the substance. The knife is powered by two AA batteries and has a short blade surface with a large, bright orange grip to stand out from your average cutlery. This should also be easy to point out to the kids to be extra careful about, since touching the hot blade during power might be a shock to an otherwise cool feel of the average steel cookware. The ability to slightly warm butter before spreading also makes it easier to apply the grease without leaving chunks on the bread or cutting holes through the toast. Once powered, the blade can be heated at the maximum temperature in as little as 30 seconds. You’ll know when it’s on and ready by the LED light indicator located at the top of the handle. The Warburtons heated butter knife was an idea that stemmed out of a small market research which concluded that a better solution is needed to warm butter before spread. Previous methods include microwaving the butter, which can accidentally melt the whole cube, or running the butter knife under a quick fire or hair dryer to gain some heat. Though the research reportedly surveyed just 3,000, the product is still an invention many more can be excited about. While it seems the product will be first available in England, we sure hope some buzz about the product might push the company to ship to the United States in the near future. Current pricing and availability information have not yet been announced at this time, but you can keep up with news about the product through the Warburtons Twitter account, or the Twitter hashtag #ToastieKnife. Watch the video below for a demonstration of the Warburtons heated butter knife. Isn’t solving first world problems the silliest?